Click on the image for the maximum size view. 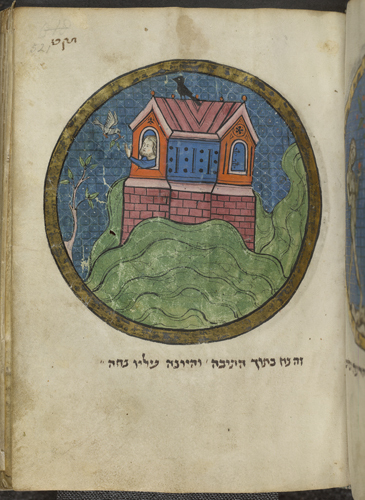 Description: Full-page miniature of Noah's Ark with the raven seated on the ark and the dove returning with a sprig of olive in its peak (Gen. 8:7-11). Caption: 'This is Noah in the ark and the dove resting on it'.